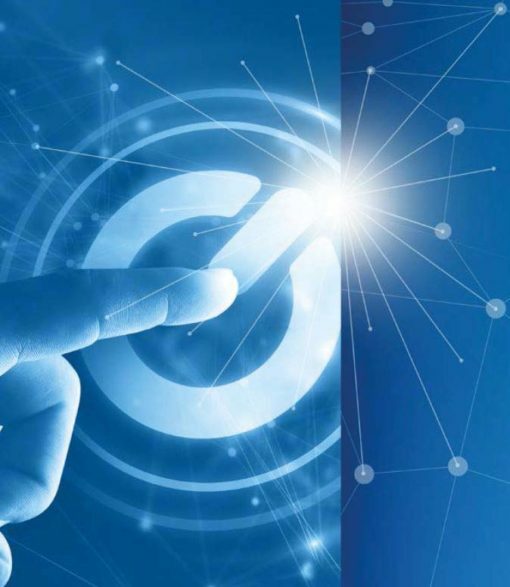 The future of Industrie 4.0 rests upon the ability to pool knowledge and resources. Fraunhofer’s interdisciplinary systems expertise sparks new ideas that meet the challenges of a changing world, and helps create customized solutions right along the value chain. To show the changes that will affect manufacturing in the future, Fraunhofer experts for production focus on virtual reality (VR) solutions, new additive manufacturing techniques, digital networks connecting machinery with product and supplier, production of small batches and one-of-a-kind products under mass production process conditions, smart maintenance, new assistance systems and machine-learning methods, as well as 5G wireless standard for real-time transmission of machinery data. The Fraunhofer Institute for Process Engineering and Packaging IVV in Dresden is developing a self-learning assistance system that helps machine operators resolve errors and build up their experience and process knowledge. Visitors to the joint Fraunhofer booth at the IMTS 2018 in Chicago can experience how a vibrant mix of new technology in the fields of smart production, additive manufacturing, augmented reality, digital engineering, sensor systems, human-machine interaction and smart materials is reshaping the future. In addition to a variety of demonstrators, Fraunhofer offers a variety of in-depth lectures, talks and expert sessions by renowned German and US scientific leaders at IMTS. To prevent long downtimes and high quantities of scrap, manufacturers must design production processes to be stable and efficient. Particularly successful outcomes are achieved when the experience of the people who operate the machines is taken into account. 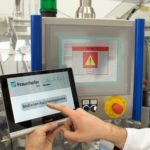 The Fraunhofer Institute for Process Engineering and Packaging IVV in Dresden is developing a self-learning assistance system that helps machine operators resolve errors and build up their experience and process knowledge. To take a concrete example: On a processing machine, chocolate bars are wrapped in paper. A sensor detects a deviation in the production process and the machine stops. Even with state-of-the-art systems, a brief interruption occurs on average every five minutes. An experienced machine operator knows where the cause of the error lies. He or she sees that the paper is bending and concludes that, in this case, the speed of the machine needs to be regulated. However, this knowledge is person-specific – a colleague with less experience would need more time to find the solution. To make this experience-based knowledge available to all operators at all times, scientists at Fraunhofer IVV in Dresden are developing SAM, a self-learning assistance system for machine operators. The system observes machine states and operator actions and saves successful solution strategies. Using a tablet computer, for example, the machine operator inputs his/her solution and then links it to the current fault situation recorded by SAM. If a given fault has occurred several times, SAM recognizes it and can give the operator tips on the cause and on how to solve the problem. In this way, the machine is quickly repaired and running again. To enable SAM to learn fault situations, the scientists at Fraunhofer IVV are using machine learning algorithms. Equipped with intelligent feature extraction, SAM is able to learn at a similar speed as humans and can recognize patterns after only a few repetitions. “Thanks to our knowledge of packaging machine processes, we’re able to make SAM very fast,” explains Andre Schult, Group Manager for Digitalization and Process Efficiency at Fraunhofer IVV.